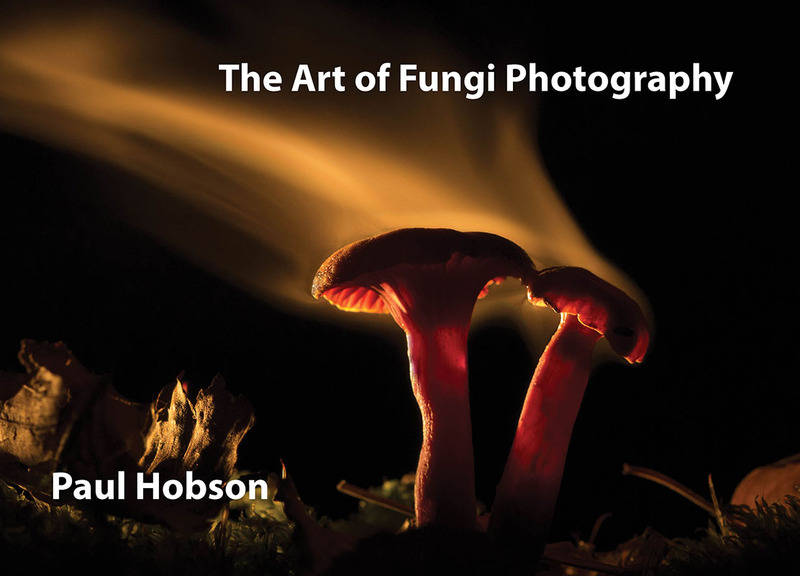 Starting with the basic principles of portrait photography this stunning book takes you on an exploration of advanced, creative techniques that will allow you to produce beautiful and innovative images of toadstools. The book follows Paul’s three year photography journey as he experimented with a range of methods to produce a body of work that is truly original and challenging. 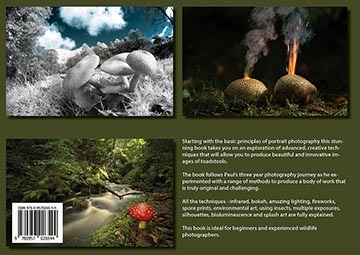 All the techniques - infrared, bokeh, amazing lighting, fireworks, spore prints, environmental art, using insects, multiple exposures, silhouettes, bioluminescence, star trails and splash art are fully explained. This book is ideal for beginners and experienced wildlife photographers alike. Hard back, 250mm x 180mm, 140 pages, full colour, 130gm silk paper. Price £22 including P+P in the UK, if you would like to buy the book please use the button below. Please note this price is for delivery in the UK only. If you would like the book posted outside of the UK please ask me for a postage price first via the contact page, for example the total cost for the book and P+P to the EU is £27.5.